The Prime Minister of Canada is encouraging everyone to beat plastic pollution – the theme of this years’ United Nations World Environment Day. Coincidentally, the June 2018 issue of National Geographic is titled ‘Planet or Plastic’; while Two Sides’ Phil Riebel suggests paper and related packaging is part of the answer. In Business news: the historic rise in lumber costs is rippling through the US economy (Wall Street Journal – subscribers only); West Fraser and Norbord stocks are soaring despite the tariff trade war (Globe and Mail); and Ottawa may support its steel industry as it did softwood lumber (The Canadian Press). In other news: the BC government announced more protection for wildlife habitat in advance of its species-at-risk legislation; George Heissler is appointed State Forester in Washington; and a new app may help with trucking wait times and timber theft. The good news for home builders and house hunters is that lumber prices have sold off since hitting an all-time high in mid May. The bad news: wood prices are still up 66% over the past year, adding thousands of dollars to the cost of each new house. 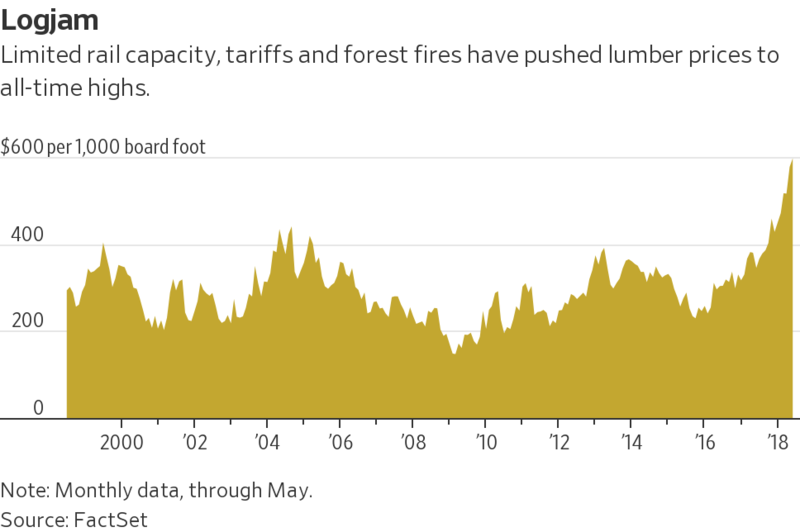 The historic run-up in lumber prices–attributable to a trade dispute with Canada, wildfires and limited rail capacity–comes as U.S. home builders are already struggling to meet demand amid shortages in buildable lots and labor. Lumber futures at the Chicago Mercantile Exchange closed at $586.80 per 1,000 board feet on Monday, down 8.2% from the all-time high of $639 reached May 17 but still sky high in a market in which prices have only occasionally eclipsed $400 over the last three decades. …Lately there have been signs that the housing market is slowing as prices push beyond the reach of some buyers. MONTREAL — The Canadian government will study the impact of U.S. tariffs on the steel and aluminum industries before determining the financial support required to protect local jobs, the international trade minister said Monday. 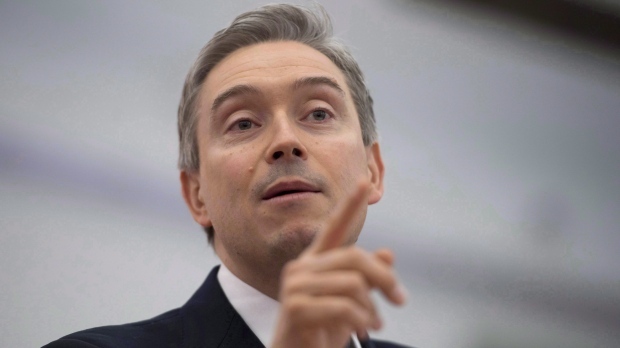 “The message we have been saying to everyone watching is we will always be there for the workers of that industry,” Francois-Philippe Champagne told reporters at a two-day international aluminum summit.”We have shown it in the softwood lumber case and we will show it again that we will have their back.” …The minister said a meeting will take place next Monday with the various players before details of the support are announced. OTTAWA – Canada’s Building Trades Unions are fully supportive of the Government of Canada’sresponse to U.S. President Trump’s recent decision to impose tariffs on steel and aluminum on Canadian companies. “We unequivocally support Prime Minister Trudeau and his government for taking swift action, a day following President Trump’s short-sighted decision on its neighbors to the north,” states Robert Blakely, Canadian Operating Officer of Canada’s Building Trades Unions. …CBTU also finds it difficult to understand how President Trump justifies his decision to impose tariffs by saying it’s about national security. “As the U.S. closest ally and as a nation that has served in wars, alongside the United States for over a century, the pretext that these tariffs somehow have a “national security” basis is a studied insult to all those Canadians who served, bled, and died in those wars,” continues Blakely. 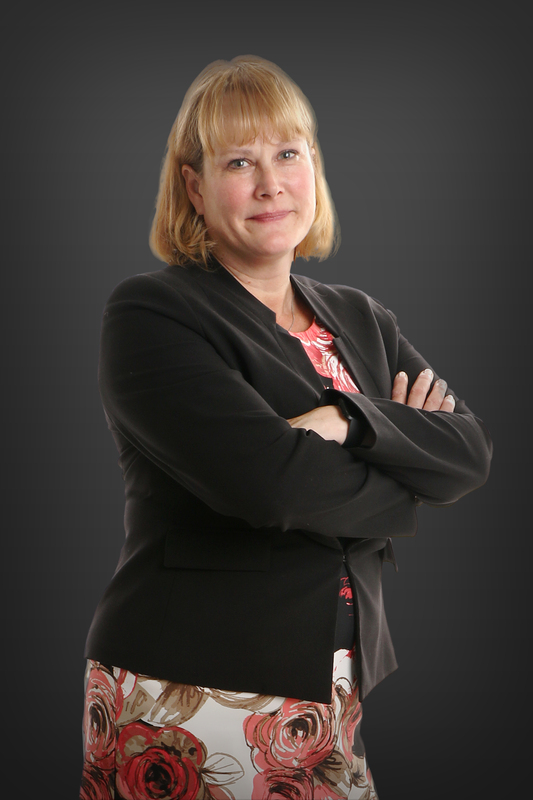 The City of Mississauga has selected Jodi Robillos as the new Director, Parks and Forestry Division, effective immediately, following a national recruitment process. Robillos has been the Acting Director, Parks and Forestry Division, since February. …Most recently, Robillos was instrumental in overseeing Mississauga’s Aerial Spray Program that targeted fall cankerworm and gypsy moth caterpillars on both City and private property. It was the first time in more than 12 years the City conducted such a program. Reporting to the Commissioner, Community Services, Robillos will be responsible for managing all business functions of the Parks & Forestry Division including the responsibilities for park planning, park development, park operations and forestry operations. KINGSEY FALLS, QC – On May 30, Cascades’ leadership in the area of energy efficiency was honoured at ENERGY SUMMIT 2018. The Company, a leader in the recovery and manufacture of green packaging and tissue products, received a Canadian Industry Program for Energy Conservation Leadership Award in the category of Integrated Energy Efficiency Strategy. With this award, Natural Resources Canada recognized Cascades’ good practices and commitment to continuously improving its energy efficiency through a variety of initiatives stemming from its integrated strategy. Accessory dwelling units (ADUs) are a tool in the fight against climate change. Garden suites, mother-in-law apartments, and backyard cottages—the compact size of these unassuming homes makes them remarkably energy efficient, cutting lifetime CO2 emissions by as much as 40 percent as compared with medium sized single-family homes. That’s far beyond the benefits of almost any other green building practice, including using green building materials, state of the art insulation, and best practices in building material waste disposal. Yet many of Cascadia’s cities maintain policies that pose major barriers to ADU construction, keeping this green housing option scarce. … In Seattle at least, there may be hope on the horizon: the city council will have the opportunity to strike down some of these ADU barriers later this year, giving Seattleites more opportunities to choose green. The UK’s paper recycling and production business DS Smith looks set for further international expansion with the proposed purchase of Europac, a leading Western European integrated packaging business. …Europac said that it is the “only manufacturer of kraftliner and coated papers in southern Europe, as well as the leading packaging supplier in Portugal, and the fourth-largest in France and the Iberian Peninsula, where it is also the second-largest recovered paper manager on the Iberian Peninsula.” …In other recent developments in the paper sector, Chinese paper mill and recycling business, Nine Dragons, is to acquire a business in the United States, while in the UK tissue sector firm Northwood is selling its stake in Northwood and Wepa, which has the Bridgend mill in Wales, to the company. …Architects are paying close attention to the Farm Bill because it could support innovation in building materials. Buildings account for 39 percent of all carbon dioxide emissions per year in the United States, according to the U.S. Green Building Council. …Mass timber is a newer category of wood that allows us to build taller with a carbon-sequestering material. Mass timber could be a catalyst for changing how we build. The Timber Innovation Act prioritizes research and development into mass timber and the construction methods that use it…. The U.S. design community is starting to catch up to modernize building codes that recognize this newest class of products, but the Timber Innovation Act would help accelerate that process. Join me in supporting USDA’s work fostering healthy forests and finding innovative ways to construct safe, healthy buildings that can have a positive effect on our carbon footprint. Our future generations depend on it. The theme for this years’ United Nations World Environment Day (June 5, 2018) is ‘Beating Plastic Pollution’. Coincidentally, the feature article and cover of the June 2018 issue of National Geographic magazine is entitled ‘Planet or Plastic’. Such environmental concerns related to plastic has caused an increasing number of companies to seek alternatives with more favorable environmental features, such as paper and paper-based packaging. …Why are companies making the switch from plastic to paper? Because paper is made from a renewable, sustainable resource and is the most recycled product in the world. …The American Forest & Paper Association reported that 65.8% of paper products were recovered in the U.S. in 2017. More paper products are recovered for recycling than any other material including plastics (9.5%), glass (27%) and metals (34%). The recovery rate is even higher when it comes to paper-based packaging. 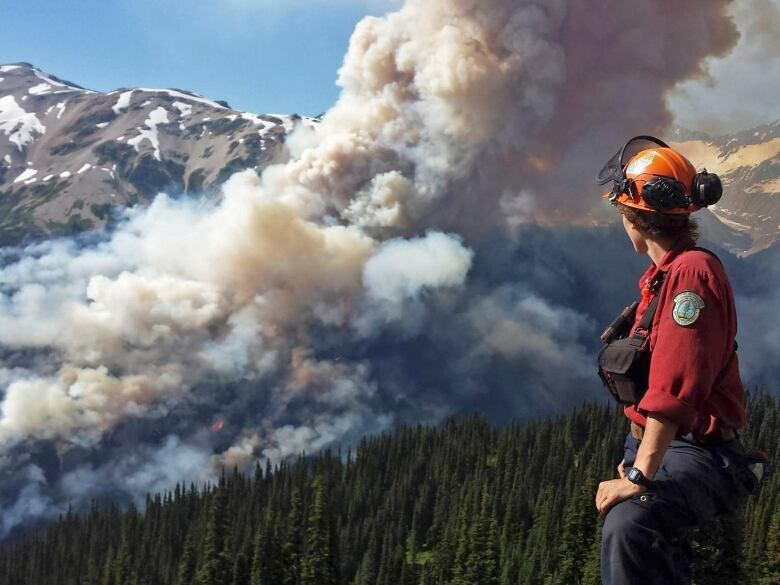 Whistler is preparing for wildfire season by installing cameras that can detect flames early on. The cameras use sensors to detect smoke and heat and can pick up on a fire from 15 kilometres away. “[They] are fairly sensitive and of course are designed to be a little extra sensitive in terms of erring on the side of caution,” said Fire Chief Geoff Playfair of Whistler Fire Rescue Service. “They have to be monitored.” The two cameras, set to be installed this month, will send an alert to a computer system at the fire hall where the data can be analyzed and a response planned. …The cameras come from a German company called FireWatch and a similar early detection system is used throughout Europe, New Zealand and Australia. “The results seem to be that they can cut down the losses from a wildfire and the growth of a wildfire down in the 50 per cent range,” Playfair said. The Sunshine Coast Community Forest operating arm, Sechelt Community Projects (SCPI), says it spent $79,692 on legal and audit fees in the first quarter of 2018 as a direct result of court action by the group Elphinstone Logging Focus (ELF). In a report for the June 6 Sechelt council meeting, SCPI chair and president Glen Bonderud said, “This was a totally unnecessary cost and impacted directly the extraordinary dividend we will be presenting to the SCCF Legacy Fund.” …Bonderud’s letter goes on to say SCPI will be pursuing payment of the costs awarded by the BC Supreme Court in a May ruling on a case brought by ELF against SCPI and the Ministry of Forests. Provincial government issues order to protect wildlife habitat in southeastern B.C. Foresters and ranchers in British Columbia’s Kootenay Boundary region will have to follow a new set of rules to ensure birds’ nests, animal dens, mineral licks, bat nurseries and other wildlife habitat isn’t disturbed. The provincial government says it is issuing the order to help wildlife survive and thrive. Environment Minister George Heyman says they know many of the species at risk in the area will have a much better chance for survival if their habitat is protected. The new protection order is the first of its kind in B.C. and will take effect on July 1 in the Kootenay Boundary region, although the government says the intent is to eventually have similar orders provincewide. …Forestry operators and range tenure holders will be offered training to help them identify and take the steps needed to protect the habitats. VICTORIA – The Forest Practices Board will examine the activities of the BC Timber Sales (BCTS) program and timber sale licence holders in the Arrow Field Unit portion of the BCTS Kootenay Business Area, during the week of June 11, 2018. Auditors will examine whether harvesting, roads, bridges, silviculture, fire protection activities and associated planning carried out from June 1, 2017, to June 15, 2018, met the requirements of the Forest and Range Practices Act and the Wildfire Act. The audit area starts at the United States boundary, and stretches approximately 230 kilometres north toward Revelstoke. The area covers about 1.35 million hectares, and contains the communities of Trail, Rossland, Castelgar, Fruitvale, Salmo, Nakusp, Hills, Burton and Edgewood. WASHINGTON — As the amount of single-use plastic in the world’s oceans continues to grow … National Geographic is launching Planet or Plastic?, a multiyear initiative aimed at raising awareness of this challenge and reducing the amount of single-use plastic that enters in the world’s oceans. Doing so will not only benefit the thousands to potentially millions of marine animals that become entangled in, suffocated by, or ingest plastic each year, but will also contribute to the overall health of the planet’s marine ecosystems and all who rely upon them. …National Geographic is uniquely positioned to tackle this crisis… through storytelling and science. The Planet or Plastic? initiative will leverage the power of National Geographic’s media portfolio around the world and the expertise of National Geographic’s explorers and scientists who are witnessing firsthand the devastating impacts of this crisis. OLYMPIA — Commissioner of Public Lands Hilary Franz announced today her appointment of George Geissler as Washington State Forester and Deputy Supervisor for Wildfire. Geissler, who joined the Washington State Department of Natural Resources (DNR) on May 29, will be responsible for day-to-day management of the state’s largest on-call fire department. Geissler comes to DNR from Oklahoma where he served as the director of forestry services and state forester with the Oklahoma Department of Agriculture where his duties included coordinating the department’s Forest Stewardship program, forest management planning, prescribed fire planning, financial analysis and technical assistance. 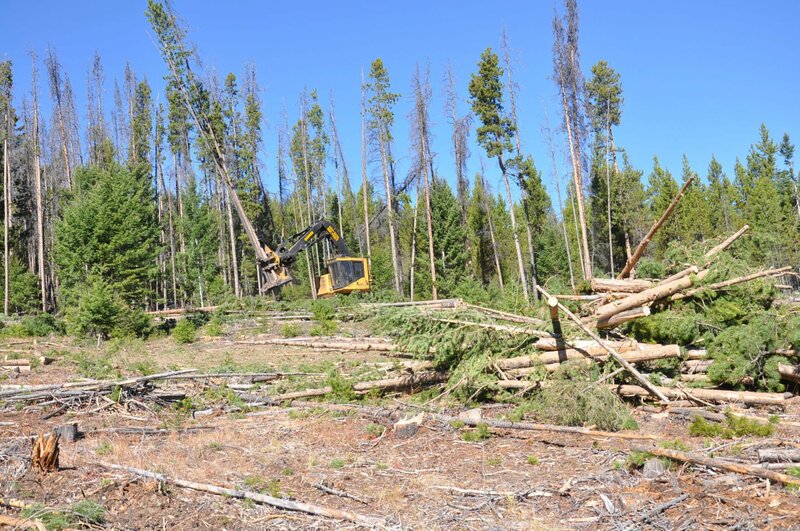 A three-year court battle over a timber-harvesting and restoration project on some 40,000 acres of Beaverhead-Deerlodge National Forest land located between Interstate 90 and the Boulder Mountains, east of Deer Lodge, has ended. That means trees will keep moving to RY Timber in Townsend to be turned into lumber, forest health will improve, elk forage will increase and the Clark Fork River will run cleaner at its headwaters, supporters say. But that’s not how Michael Garrity sees it. As executive director of the Alliance for the Wild Rockies, Garrity helped lead the nearly three-year effort to stop the East Deer Lodge Valley Landscape Restoration Management Project, as it is known and which Garrity says is based on the faulty premise that dead trees — or snags — are bad for forests. 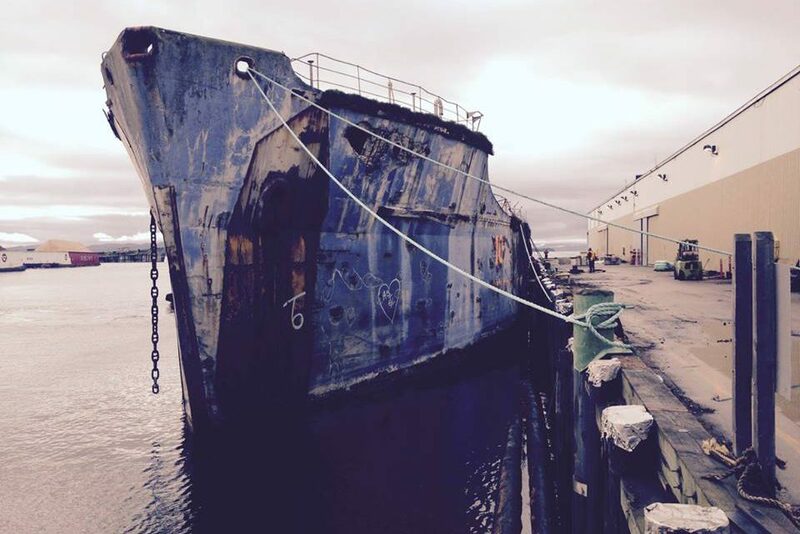 …The lawsuit’s defeat has those who are involved in the project, including some conservation groups, relieved. …The Pacific Northwest is becoming increasingly urbanized by people drawn here by the incredible scenery and wildlands. 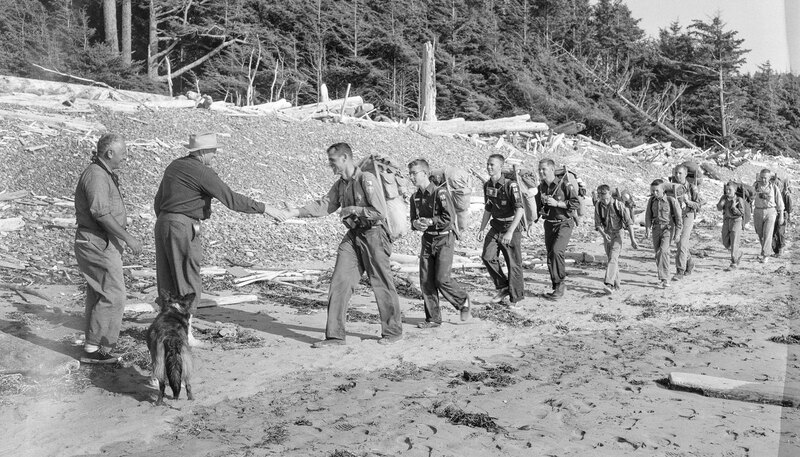 …Over the past century, much has been done to preserve the Northwest’s environment. …Republicans and Democrats alike have worked to defend the lands and the faith. But the Donald Trump administration is seeking to challenge that consensus. The idea seems to be to “make America great again” by turning back the clock to the late 19th century, when exploitation of natural resources was on the front burner. Trump has, in an unprecedented manner, slashed the size of some designated national monuments in the West. …The Interior Department proposed raising entry fees to Mount Rainier and Olympic national parks… Changes to rules protecting roadless areas are also being considered by the U.S. Department of Agriculture, which oversees national forests. SCOTT COUNTY, MS – An invasive species of insects is attacking and killing pine trees in central and southwest Mississippi. According to forestry officials, the Southern Pine Beetle is destroying trees in national forests and surrounding areas. In the Bienville National Forest in Scott County, a section of pine trees, although healthy looking, is in fact dead. The trees were killed by the Southern Pine Beetle in what experts describe as the worst outbreak since 1995. U.S. Forest Service entomologist Jim Meeker said the Southern Pine Beetle has so far been identified in over 2,100 locations since March. Last year, the destructive insect killed over 23,000 acres of pine trees. “It happens very quickly. Infestation can grow from just a few trees to many acres in size to over a thousand contiguous acres in just a single summer,” said Meeker. Digital technology might not be the first thing you think of when thinking about the logging and timber industry, but one Savannah entrepreneur hopes to changes that. “We’re hoping to be a disrupter of the business,” said Dean McCraw of Phloem, a mobile app for the forest products industry, which shows the origin point of timber, provides mill wait times, allows loads of timber to be tracked and allows users to report any major issues they encounter at mills. …McCraw said often drivers who are dropping off timber to mills aren’t aware of problems or long wait times and some of the current methods of communication are a bit outdated. …McCraw also hopes to help combat timber theft with the app. A lack of trees might hurt Indianapolis’ growth. Here’s why. Indiana forest advocates are a little bumped and bruised, not to mention the trees they’ve fought to protect. It’s been a long and often hard 18 months: Battles over wooded areas across the state have often ended in defeat. Yellowwood’s back country has been logged, Nora’s Haverstick Woods have been rezoned. Legislation that would have protected parts of the state forests from logging failed in the general assembly. …All this time, advocates have been on the defensive. But a new project could change all that. Forests for Indy, coordinated by the Indiana Forest Alliance and launched in May, is a three-year plan to catalog and rank trees and urban forestland across Indianapolis. The project’s partners will focus not on parks and public lands, but rather the private acres of green space most under threat. …The boreal forest and its associated wetlands, in particular, provide critical carbon storage to the world. Wetlands throughout Canada store nearly 100 times the carbon emissions produced by Canada and the United States combined and roughly four times the emissions produced around the globe annually. There is currently a scientific gap in having a proven, practical method for measuring wetland carbon storage. …With long-lived tree species and deep deposits of peat, wetlands are unique in the role they play in regulating water quantity and quality and in the biodiversity of their bird and plant life. The Saskatchewan Research Council (SRC) [with key partners will] complete a three-year study of the carbon stores under the boreal forest and develop a rapid assessment tool to measure carbon storage in wetlands. …The study is supported by the independent, non-profit Sustainable Forestry Initiative (SFI) through its SFI Conservation and Community Partnerships Grant Program. GREENBELT, Md. — It’s here. Starting today commercial motor vehicle inspectors will conduct high-volume, high-visibility inspections of large trucks and buses for 72 hours as part of the Commercial Vehicle Safety Alliance’s (CVSA) International Roadcheck annual enforcement initiative. Commercial motor vehicles and their drivers will be checked at inspection sites, weigh stations and roving patrol locations along major roadways in Canada, Mexico and the United States. Each year, International Roadcheck places special emphasis on a category of violations. This year’s focus is on Hours of Service compliance. While checking for compliance with HOS regulations is always part of a roadside inspection, CVSA is highlighting its importance as it coincides with this year’s April 1 full enforcement of the electronic logging device mandate that went into effect on December 17, 2017, throughout the United States.